Only 26 percent of U.S. adults could properly distinguish between fact and opinion statements. Political awareness, digital savviness, and news trust played a role in the results. Today’s media landscape presents people with mass amounts of information, emphasizing the importance of being able to recognize the facts from opinion. A new Pew Research study reported that people’s relationship with politics, technology and news providers may play a role in that ability. Participants of the study were rated on four traits. Those with a higher level of political awareness, digital savviness and news trust were better able to accurately distinguish fact from opinion. News interest did not play a role in the outcomes. The researchers also found that party identification plays a role in participants’ results. Both Republicans and Democrats were more likely to label opinion statements that corresponded with their political side as fact. 26 percent of participants correctly identified all five factual statements out of a combination of 10 factual and opinion statements. 35 percent of participants correctly identified all five opinion statements. 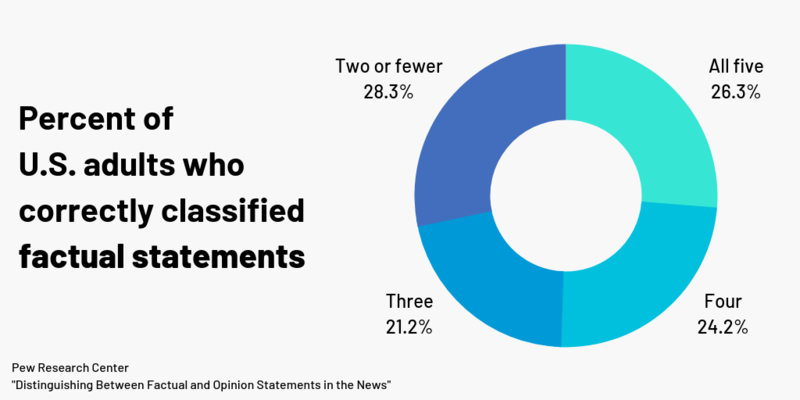 About one-third of participants with high political awareness (36 percent), digital savviness (35 percent) and trust in the news media (39 percent) correctly identified all five factual statements. 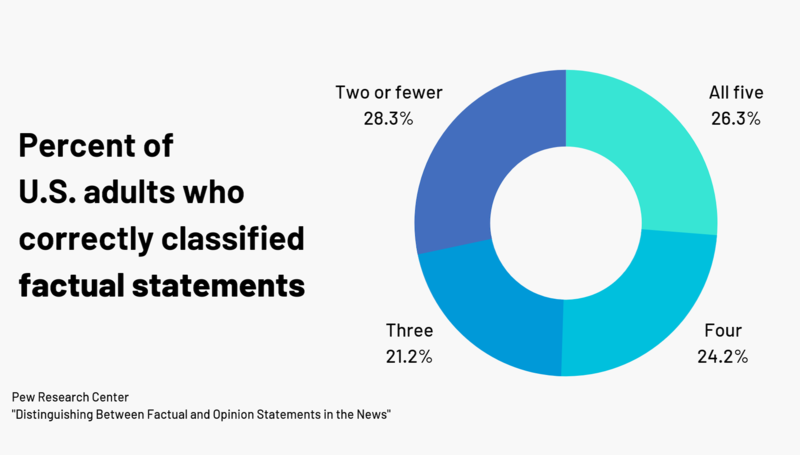 Less than 20 percent of participants with low political awareness (17 percent), digital savviness (13 percent) and trust in the news media (18 percent) correctly identified all five factual statements. The study consisted of 5,035 randomly selected U.S. adults. The participants were rated on political awareness, digital savviness, news trust and news interest.